I’m going to focus on Speed, Cadence, and Heart Rate in this post. Power meter’s are highly technical and something I’m far from expert in. Why would you need / want sensors when you’re cycling? If you’re tracking your progress (for improvement), you’ll want to measure things like your speed, cadence, and heart rate to see how they change. While many bike computers & cycling apps can track our speed & distance using GPS data, it’s not very accurate. A speed sensor measures how often your wheel turns so, as long as the wheel size is correctly calibrated, it knows how far you’ve gone. If you’re doing serious training, you’ll definitely want to be tracking this data. In this case you’ll probably want a power meter too. Sensors use radio to communicate. There are two primary protocols available: ANT+ and Bluetooth Low Energy (BLE). Older sensors don’t support BLE. Sensors that support both ANT+ and BLE can communicate with bike computers (like the Garmin Edge 1030) or a mobile phone. Sensors that don’t support BLE can only communicate with bike computers and VERY few mobile phones (that support ANT+). A stand alone speed sensor will usually attach to the hub of your wheel (front or rear, I don’t think it maters). It measures how often your wheel turns. Usually a hub mounted speed sensor can be easily put on and removed from the hub by just reaching in-between the spokes and stretching the rubber bands to hooks on the sensor mount. A stand alone cadence sensor will usually attach to the non-drive side crank (the side opposite of the chain rings). It measures cadence by counting the number of times the sensor goes up and down. Some cadence sensors have an easy way to mount it with stretchy bands and hooks on the sensor body. Most (that I’ve observed), however, have a rubber cover that has to be zip tied to the crank. This makes it somewhat difficult to move between bikes. You generally need snips (like wire cutters) to cut the zip ties and new zip ties to attach to the other bike. Another way to attach it is to use adhesive to attach it to the crank. I don’t recommend this at all. An alternative way to mount a cadence sensor is on your shoe. I just discovered this and really like it. It’s very useful if you rent bikes. I’ll probably create a separate post about that experience. Also available are combined speed and cadence sensors. These sensor measure both your speed and cadence (obviously). This kind of sensor usually attaches to the chain stay of your bike and stays in one place. It measures speed by counting the number of times a magnet, attached to a spoke, passes by the sensor. It measures cadence by counting the number of times a magnet, attached to your crank, passes by. The advantage of this sensor is that it combines both sets of data in a single stream to your bike computer or phone app … although this isn’t as crucial unless you have limited connections available. The disadvantage of this kind of sensor is that they are dependent on the magnets being in the correct position on the crank & spoke. If the magnets move, or the sensor moves, the sensor might not be able to pick up the magnet. I’ve also seen poorly attached speed & cadence sensors get pushed out of alignment and into the spokes of a bike … breaking the sensor off and damaging the spokes. Some bikes also have mounting points & cutouts to install sensors directly into the frame. These are nice in that the sensor isn’t very obtrusive, but you still need magnets. Heart rate sensors, as mentioned above, measure your heart rate. There are two major types of heart rate sensors: Electrical, that measure the electric impulses that your heart generates when it beats, and optical, that shines a light into your skin and looks for variations in the reflected light that indicates blood pumping. I’ve found optical heart rate sensor to not be as accurate as the electrical ones. Some heart rate sensors can perform other duties. The 4iiii Viiiiva can gate ANT+ signals to bluetooth. The Wahoo Tickr Run & Tickr X can measure things like body movement, so it can provide cycling cadence (by measuring how often you rock back & forth), running cadence (how often your feet hit the ground), etc. I’ve found the Wahoo Tickr extra sensor data to be marginally accurate at best. As I mentioned before, most sensor (not all) support both ANT+ and Bluetooth Low Energy. ANT+ is the protocol that almost all sensors support. It’s the original wireless protocol that bike computers & sensors communicated with. Up until recently, Garmin bike computers only supported ANT+ sensors. ANT+ sensors do have a bit of a security issue in that they broadcast their data promiscuously … which means that they just broadcast and any device can read the data. This can be an issue if you’re trying to pair a new sensor to a bike computer at the start of a big event… because many people will have sensors and it will be hard to find yours. Once the bike computer is paired with the sensor, it will only reconnect with the sensors it’s been paired with. One advantage of the promiscuously data broadcast is that you can have more than one device reading the data. So if you are using a training program, you can install a USB ANT+ adapter in the computer you are using to run the training program to read the data. You can also record the session using a bike computer. Bluetooth Low Energy (BLE) is a newer wireless protocol that has its some advantages, but also some disadvantages. The biggest advantage of BLE is that it’s more secure. Once a BLE sensor is paired with a device (bike computer or mobile app) it stops broadcasting its availability and nothing else can see it or pair with it. Of course, if you want to record your session with multiple devices, you can’t once the device is paired. This an be worked around by using ANT+ to connect the sensor to your bike computer and BLE to connect to your training app. Another advantage is that most mobile phones support BLE, so you can use a phone app to record your ride. What sensors to use / buy? 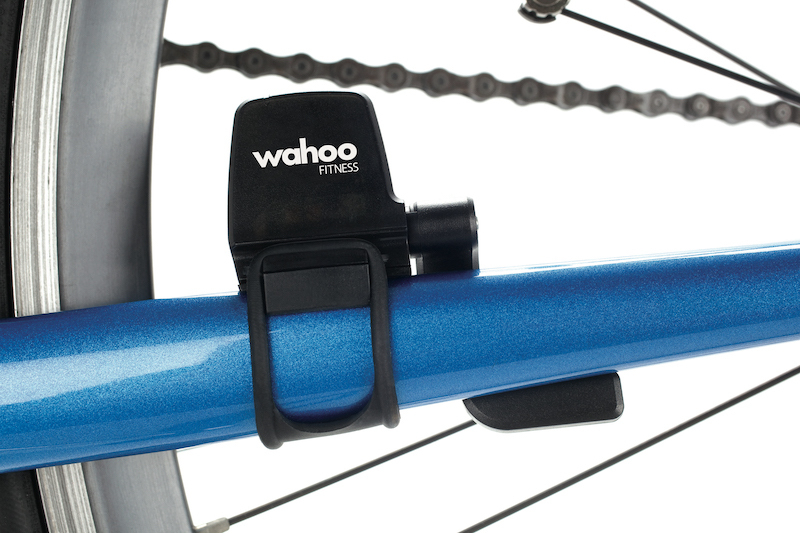 For bike sensors, I recommend the Wahoo brand. My personal favorite are the Wahoo Tickr for heart rate, RPM Speed, and RPM Cadence. 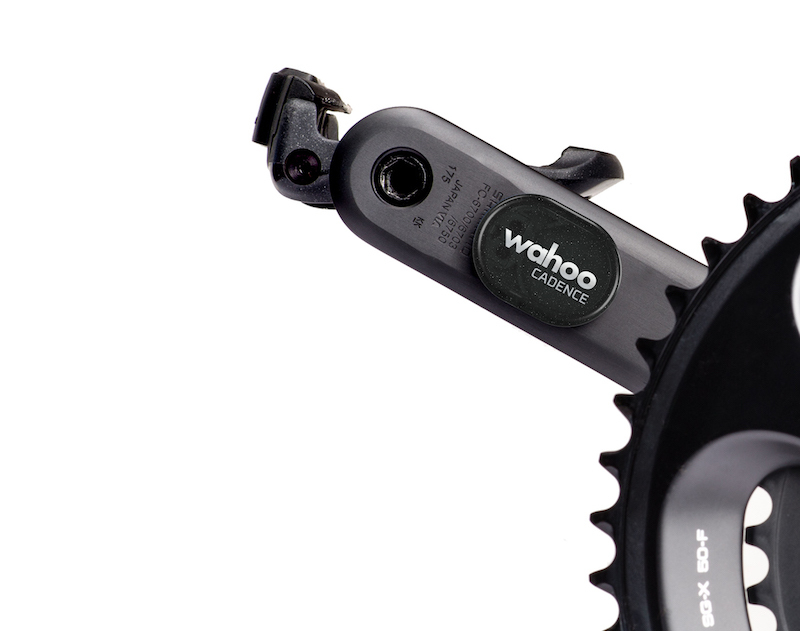 If a combination speed & cadence sensor is needed, the Wahoo BlueSC is my choice. All these sensors support both ANT+ and Bluetooth Low Energy. 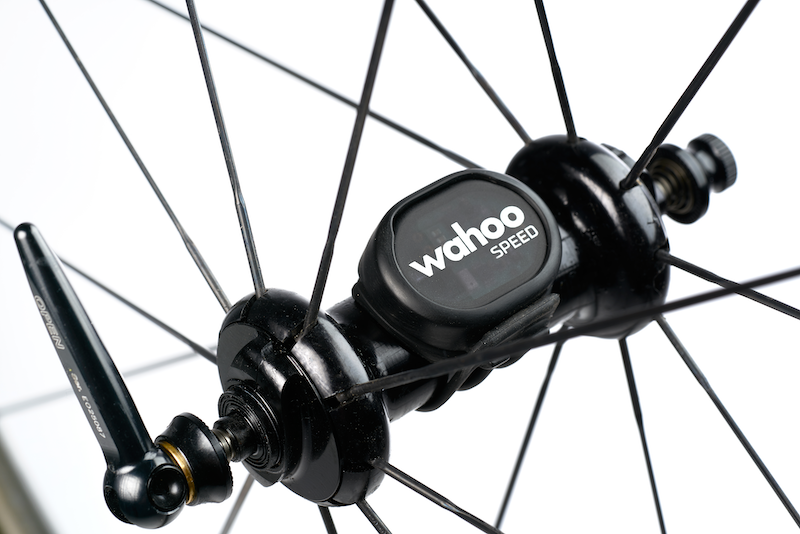 They are easily to install (even easier if you use the shoe clip option on the cadence sensor). When I first started cycling, I got the Garmin sensors … but they only supported ANT+. It was fine when all I used was my bike computer, but with indoor training, I need BLE also. Just a note here about the Tickr … the heart rate monitor I actually use when riding outside is the Tickr X. I’ve never used the extra features of the X and only got it because it was a really good deal. A plain Tickr is more than sufficient for heart rate tracking.